Kristin Reynolds is active as both a dedicated teacher and playing professional. Curr﻿﻿ently serving as Oboe Professor and Instructor of Chamber Music at Eastern Michigan University, her previous teaching responsibilities have included serving on the faculties of Hillsdale College, Concordia University, and as interim Adjunct Oboe Faculty at The University of Michigan. Professor Reynolds performs with the Toledo Symphony, Detroit Chamber Winds and Strings, and the Ann Arbor Symphony. She has also performed with the Detroit Symphony, the Michigan Opera Theater, the Flint Symphony, and the Windsor (Ontario) Symphony. Ms. Reynolds re﻿cently performed at the International Double Reed Society convention at the University of Arizona. In recent years she has performed in orchestras for The 3 Tenors, Natalie Cole, Jim Brickman, David Archuleta, Mannheim Steamroller, The Beach Boys, Joni Mitchell, Amy Grant, The Moody Blues, Led Zepplin, and the American Ballet Theater. A portion of her orchestral pit experience includes productions of Wicked, Mary Poppins, The Wizard of Oz, Martin Guerre, and Elton John’s Aida. In addition to presenting lectures, master classes, and adjudicating across the United States, Ms. Reynolds has toured both nationally and internationally in orchestras and wind ensembles throughout Europe, Japan, and Scandinavia. She can be heard on the Caprice label performing with the Stockholm Wind Orchestra of Sweden, as well as on the Naxos label. Ms. Reynolds recently contributed to a reference book: “Tuning for Wind Instruments – A Roadmap to Successful Intonation”, by Shelley Jagow. A native of Southern California, Ms. Reynolds spent two summers studying at the Music Academy of the West in Santa Barbara, California, and holds a teaching certificate from Concordia University. 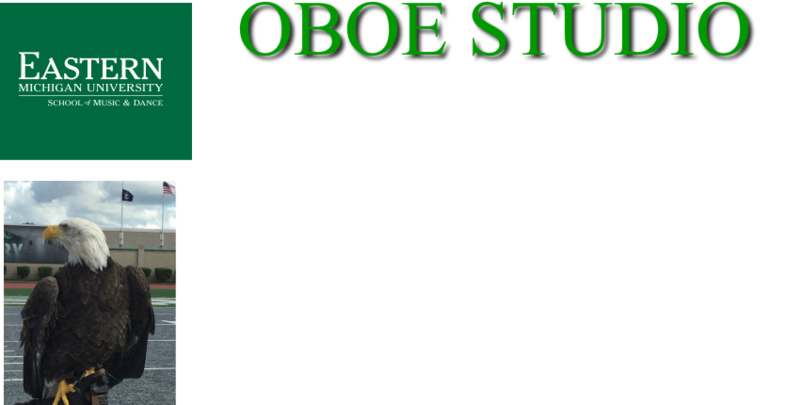 Her study of the oboe, both privately and in master classes, have included work with: John Ferrillo (Boston Symphony), John Mack (Cleveland Orchestra), Cynthia Koledo DeAlmeida (Pittsburgh Symphony), Richard Killmer (Eastman School of Music), Elaine Douvas (Metropolitan Opera Orchestra and the Juilliard School), Linda Strommen (Indiana University), William Criss (Metropolitan Opera Orchestra, retired), Harry Sargous (The University of Michigan, retired), Dan Stolper (Interlochen Arts Academy), and Richard Woodhams (Philadelphia Orchestra, Curtis Institute and Temple University). Ms. Reynolds is a member of the American Federation of Musicians; Locals 625, 5, and 15-286, as well as the International Double Reed Society, and is an honorary member of the music fraternity Kappa Kappa Psi.